All in with Queens against the Kings of Casey McCarrel, Shooting Star Moshin Charania is going to need help to remain in the tournament. [9d][Jh][Ts] adds an open-ended straight draw that fills on the [Kd] turn. 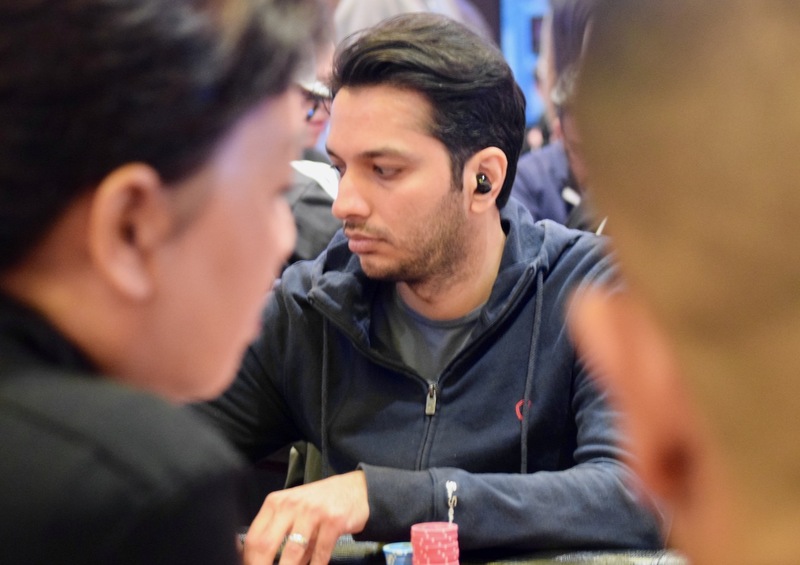 The river blank gives Charania a full double on one of the last hands before break. [3c][5h][8d][5c] changes nothing at all, but the [9s] river is another double.